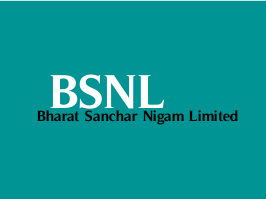 Bharat Sanchar Nigam Limited (BSNL) has published a notification for the recruitment of Junior Accounts Officer vacancies under special recruitment for PwD candidates. Educational Qualification: Candidates should possess M.Com, CA, ICWA and CS from a recognized Institution/ University. Age Limit: Candidates age should not be below 20 years and not exceeding 30 years as on 01-01-2015. Age relaxation is applicable for PwD (candidates) upto 5 years for OC, 10 years for SC/ ST and 8 years for OBC candidates as per rules. Application Fee: Candidates have to pay Rs. 750/- through online mode i.e Internet Banking, Credit Card, Debit card only. How to Apply: Eligible candidates may apply online through website www.externalexam.bsnl.co.in from 01-12-2015 to 10-12-2015.